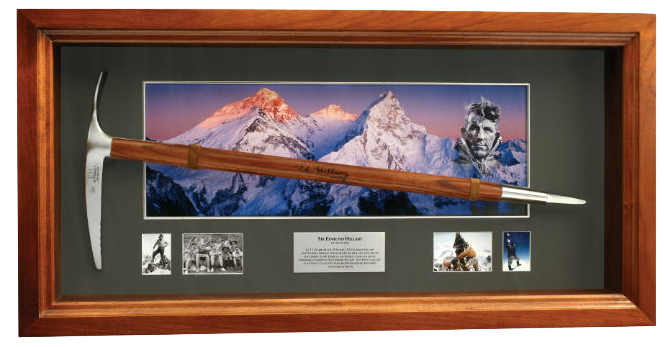 The Ice Axe has been encased utilising a sustainable timber under glass against a background of stunning photographic images and an engraved plaque detailing the date and time of the conquest of Everest. Each Ice Axe is accompanied by a Certificate of Authenticity personally signed by Dame Catherine Tizard, verifying the authenticity of the signature and the quantity of the release. A percentage of all sales will be donated to various causes in support of Sir Edmund’s ongoing humanitarian work with the mountain people of Nepal. 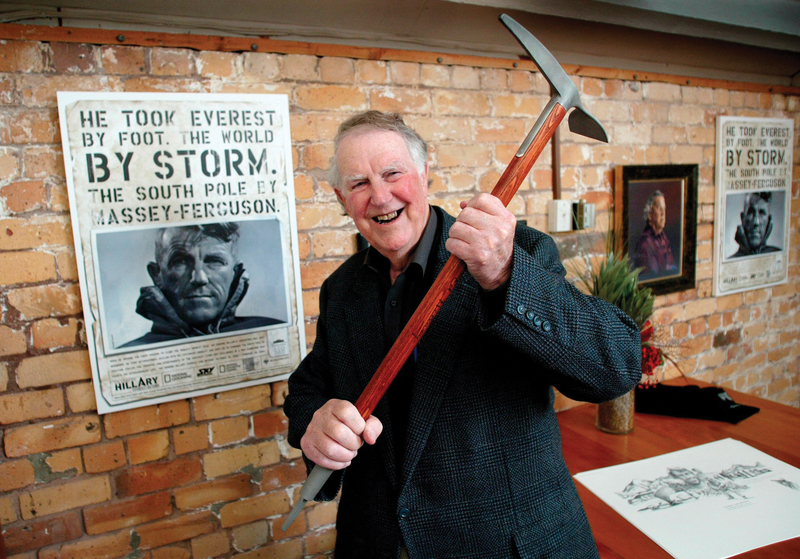 We are now releasing a new edition of the personally signed Sir Edmund Hillary Ice Axe which you can personalise with your own images along the bottom and a plaque reflecting the work or your charity or acknowledging your own personal achievements in life. Unlike the traditional timber case this is flat framed without glass so that the Ice Axe sits proud. See Charity Options for more information.